Happy Summer, everyone! The kids are out of school, and we’re ready to bring on the summer here in the Midwest. We LIVE for this weather – boating, biking and long nights lounging on the patio. One thing that I always try hard to do (but fail to do well) is stay properly hydrated. Plain water can just feel boring sometimes, so it’s nice to kick it up a notch every once and awhile, amiright? Today I’m sharing the love on a new Summer Spritzer I can’t get enough of. Every summer soiree calls for a fruity signature drink. But, this drink is simple enough to make that it’s perfect for a totally chill night on the patio. 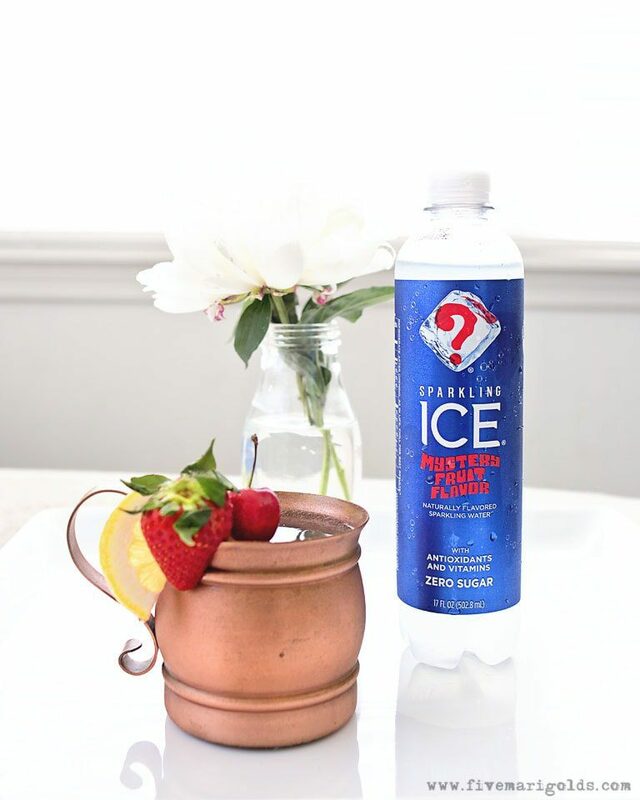 Last summer I shared my love for Sparkling Ice, so I was excited to try their new Mystery Fruit Flavor. 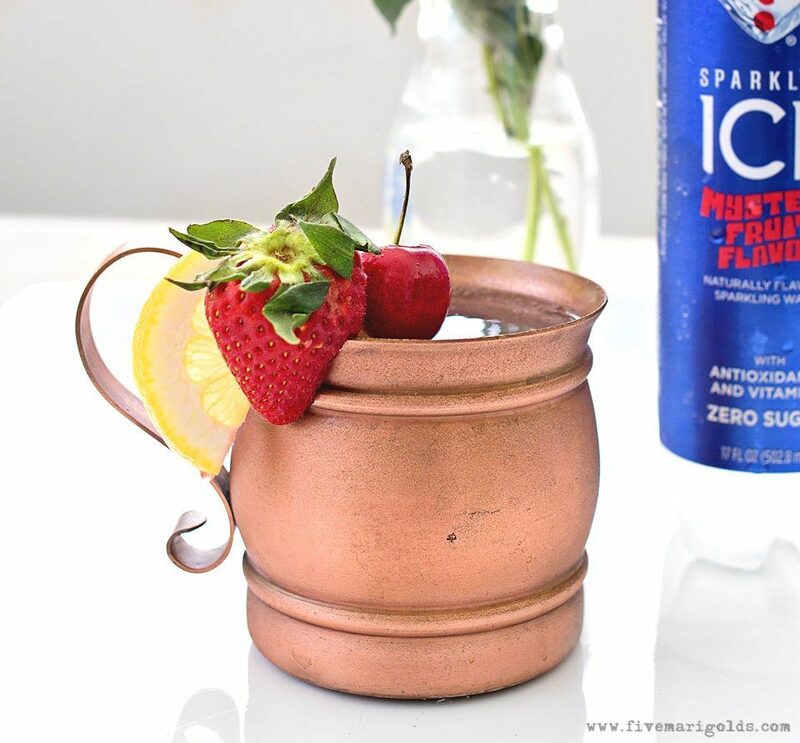 It’s the perfect, no calorie grab-and-go drink all on its own, just toss some fruit in and let it soak up all the sparkling goodness. 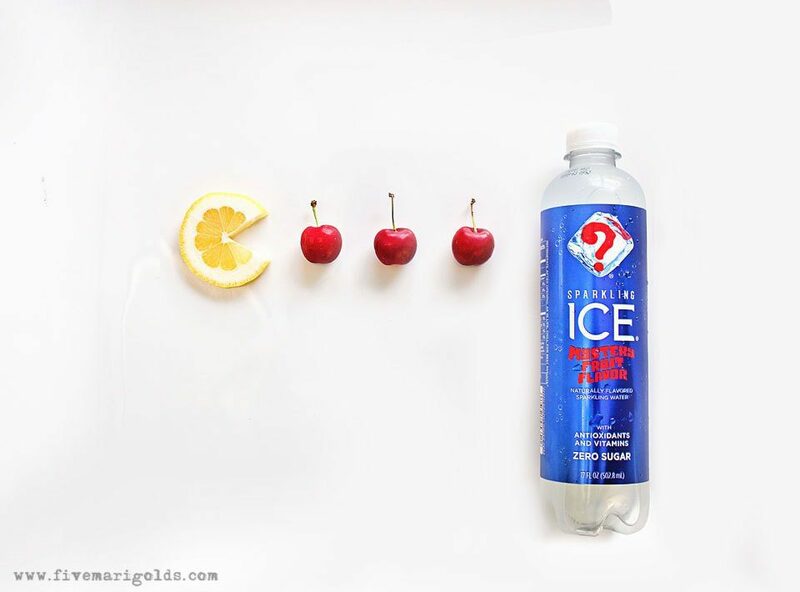 Strawberries, pineapple, cherries, watermelon…whatever you have on hand. So good! Looking for your new signature sprizter? This drink is also pretty fantastic with 1 part pina colada moonshine or vodka to 5 parts Sparkling Ice. Do you have a guess? Pop on over to Sparkling Ice and give them your best guess! There are over 450 amazing prizes to be had! What do you think of my simple skinny spritzer for summer? What is your signature drink?